You can download the Interdictor-Textures in 5 different resolutions for Minecraft 1.8. 2. Install MCPatcher (or CTM won’t function ). Open MCPatcher and click Patch. Make sure that the HD Textures option is selected. 3. 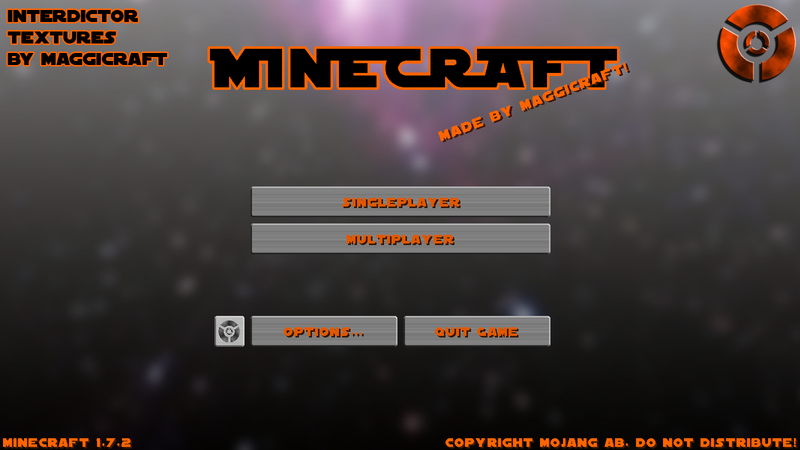 Open Minecraft and click Resource Packs on the main menu. 5. Place the Resource pack in the folder leaving the file as a .zip. The Resource pack will now show up in Minecraft. Simply click the pack and it will be applied to Minecraft!